Today we reported each project’s progress to superior who went to UC Davis last year. 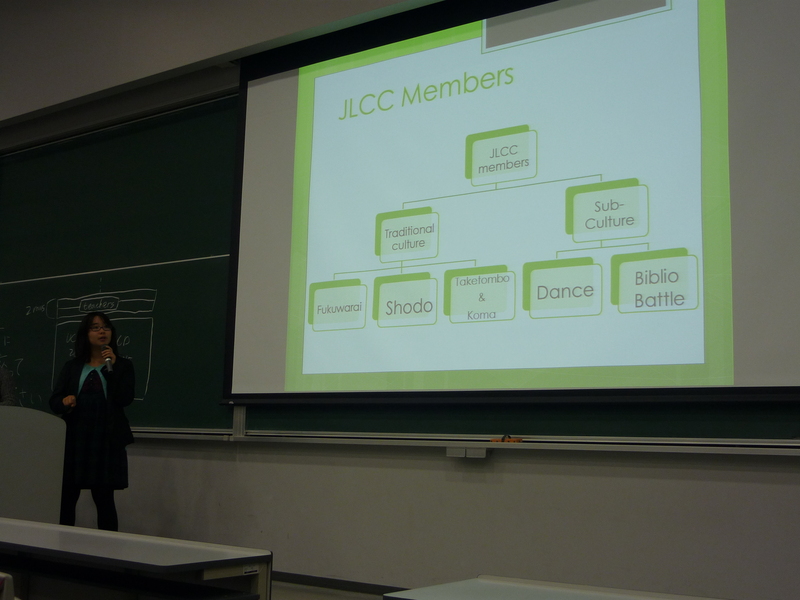 Our group, JLCC, the leader Kana made presents about our activities. When I listened to her presentation, I thought I should have specific purpose to concern with JLCC. In the Last two months, I want to get the purpose of mine. In the session, A English teacher gave us some comments for good presentations. In the points, I thought the most important things is how to use faces of mine. I want to practice presentations over and over again in order to become a good presenter. In the latter part of the session, the small party was held with some sweets. In the party, we could talk with some superiors. I could know about UC Davis more, and I’m looking forward to go to USA more and more. In the last two months, I will prepare for my wonderful trip.